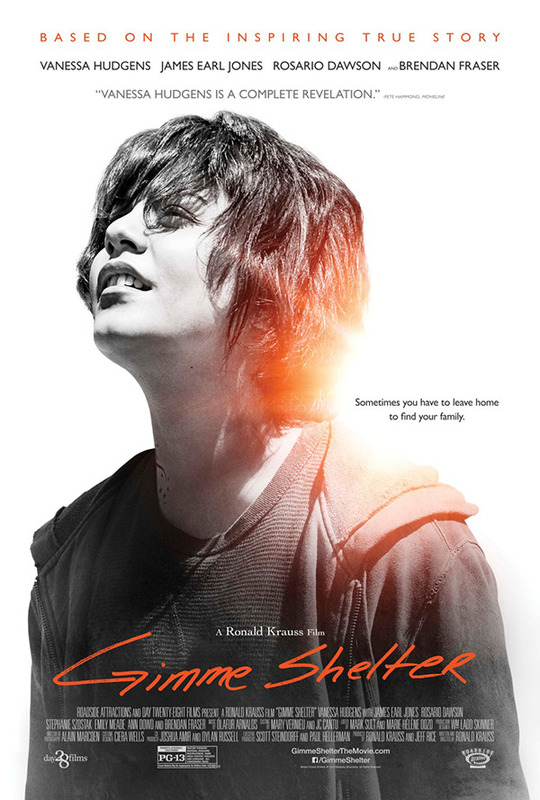 things I take for granted: a review of "Gimme Shelter"
Every living being has certain basic needs for survival. Food. Water. Air. Warmth. Shelter. Take away even one of these basic things and a living organism won't survive for long. Many of us - I dare say anyone reading this post - can go through our entire lives without ever worrying about any of these things. We take them for granted. Because we don't have to worry about the basics, we are free to pursue other things like education, wealth, entertainment, passion, fulfillment, etc. In the movie "Gimme Shelter," Agnes "Apple" Bailey (Vanessa Hudgens) has the barest minimum of her basic needs. Taken away as a child from her drug-addicted mother (Rosario Dawson), Apple has spent most of her childhood in the system, being shuffled between mental institutions and multiple foster shelters, even enduring sexual abuse from the ones entrusted with her care. I have a magic finger that I use in traffic. I had never done this until I met my husband. I saw him do it one day as we approached an intersection, and marveled at the power wielded by one little finger. I decided to start using my finger, too. No, not that finger. Get your mind out of the gutter. The only power "that" finger has is to offend people and make them want to run you off the side of the road.